As with PSP-Classic, the objective of the PSP-Flagship programme is to strengthen the exchange between science and society. The PSP-Flagship programme aims to set up long-term science outreach activities with a sustainable and lasting impact on the promotion of science to the public in Luxembourg. The promotion of science or research needs to be placed at the centre and projects must include the active participation of the audience. PSP-Flagship is different from PSP-Classic in the sense that it focusses on long-term projects with high impact. Similar to PSP-Classic, it is open to proposals from all scientific disciplines. Both new projects and ongoing projects are eligible for PSP-Flagship co-funding. 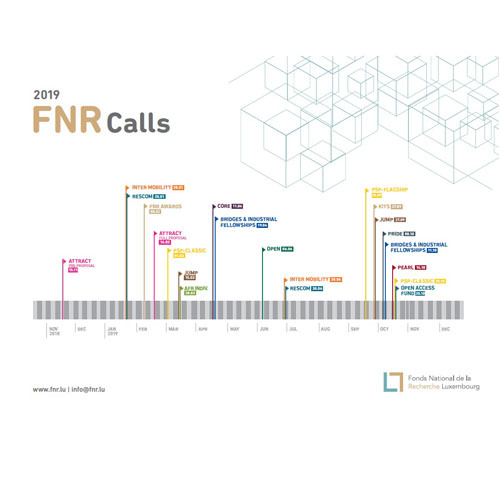 Interested institutions are invited to contact the FNR well before the submission deadline to discuss their proposal idea and verify that they are eligible for the scheme. PSP-Flagship funding is intended for a 3-year period (compulsory duration). Projects may obtain co-funding of up to EUR 350,000 – 400,000 (exceptions may be possible if duly justified). Co-funding by the applicants and/or other sources than the FNR is expected and preference will be given to projects with higher portions of co-funding.